Let SeniorCare Experts put Guardian Medical Monitoring to work for you. 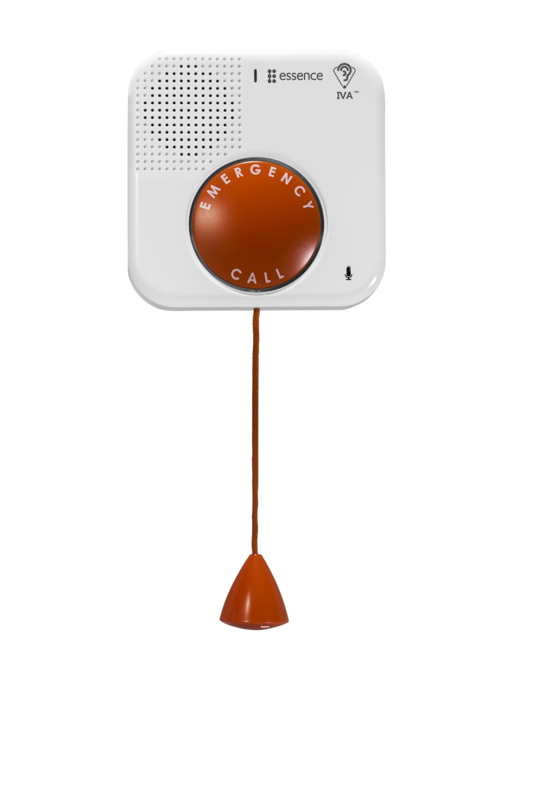 SeniorCare Experts offers the Guardian Medical Alert Service. Guardian Medical gives you the confidence and freedom to live more independently in your home. 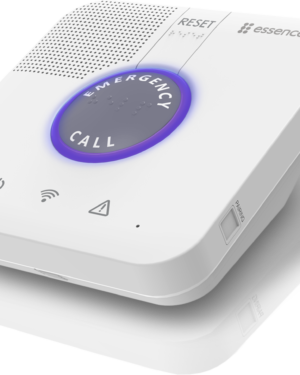 Guardian Medical Alert is an easy-to-use personal response service that enables older adults to get quick, caring assistance at the touch of a button whenever necessary-24 hours a day, 365 days a year. 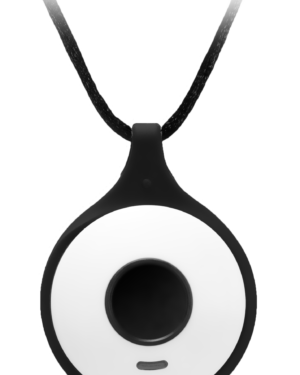 When you need help, press the ultra-lightweight waterproof button that is worn as a pendant. Within seconds, a trained Guardian Medical response professional assesses the situation and summons appropriate help. 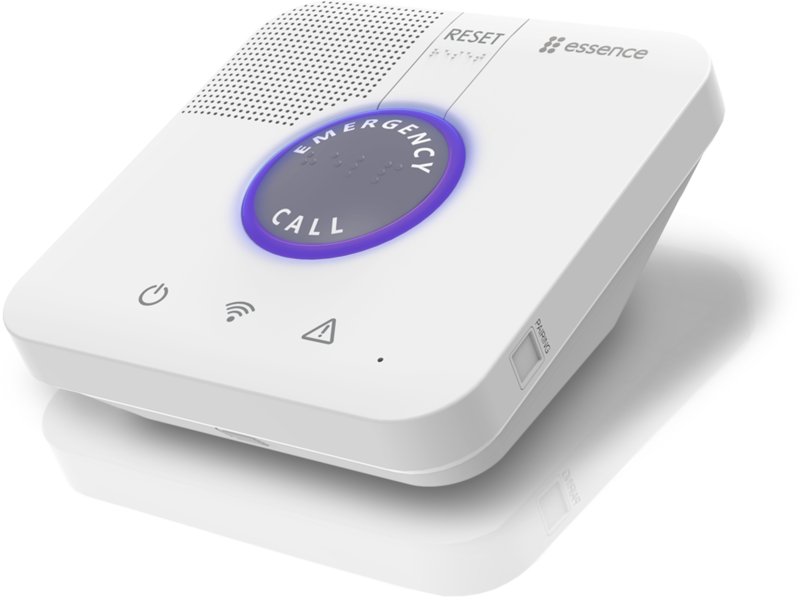 The Guardian Medical Service, with fall sensor, and a speaker in the pendant that enables you to easily communicate with an operator, will place a call for help automatically when a fall is detected. The Guardian GPS Personal Help Button is a hands-free, personal help button extends beyond just your home and yard and allows you to travel around the entire country at anytime. 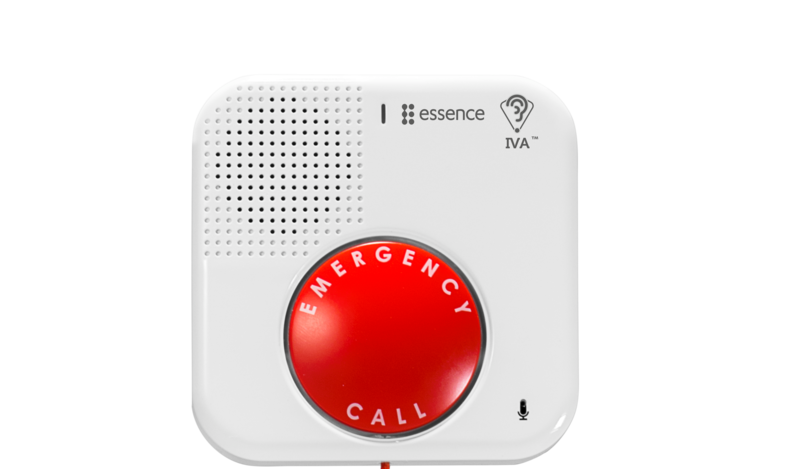 This GPS help button is equipped with two-way hands-free communication from virtually anywhere, and connects directly to our monitoring center for assistance whenever and wherever needed by the push of a button or by auto fall detection. Benefit with options and upgrades such as Caregiver Connect and Virtually There Care™ which helps family members and caregivers monitor and check up on their loved one. With Guardian, provide the ultimate sense of relief. 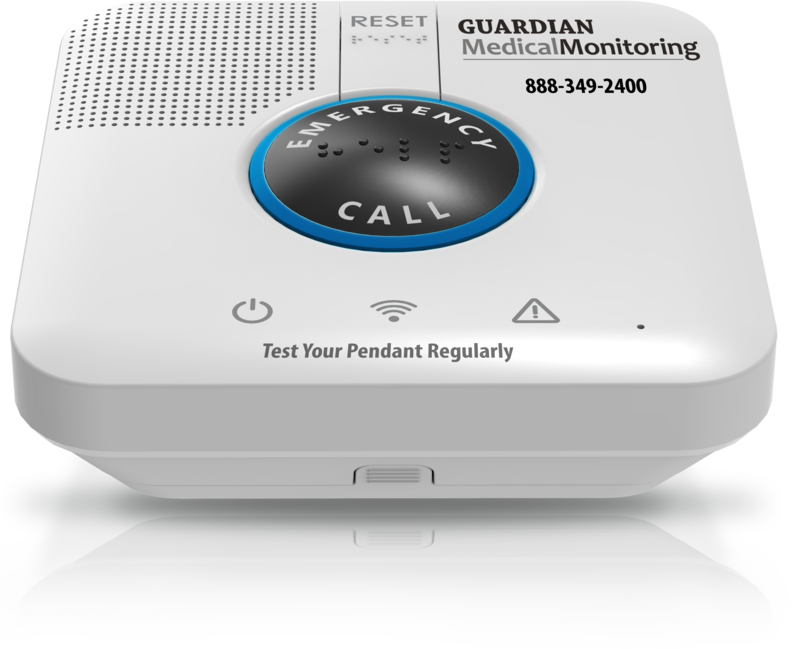 Thanks to Guardian Medical top-rated accessories, that are compatible with both the in-home systems and personal medical alert devices with GPS, SeniorCare Experts can help you find the perfect fit. SeniorCare Experts treats our clients like our family. 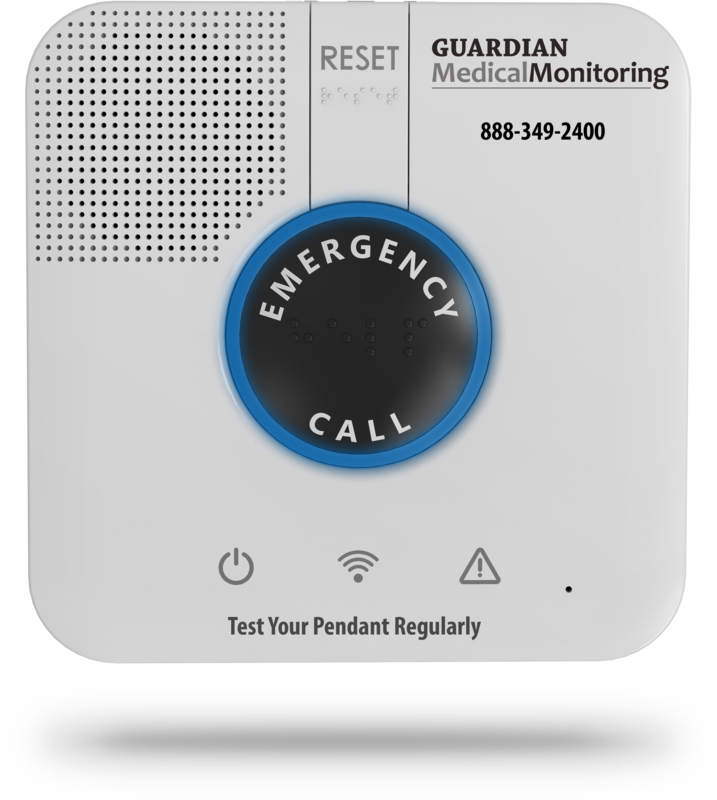 The most important difference is that Guardian Medical Monitoring will stay on the phone with you until help arrives! They will not hang up! This gives you the security that you are not alone and help is on the way. SeniorCare Experts receives a report that you have pushed your button. 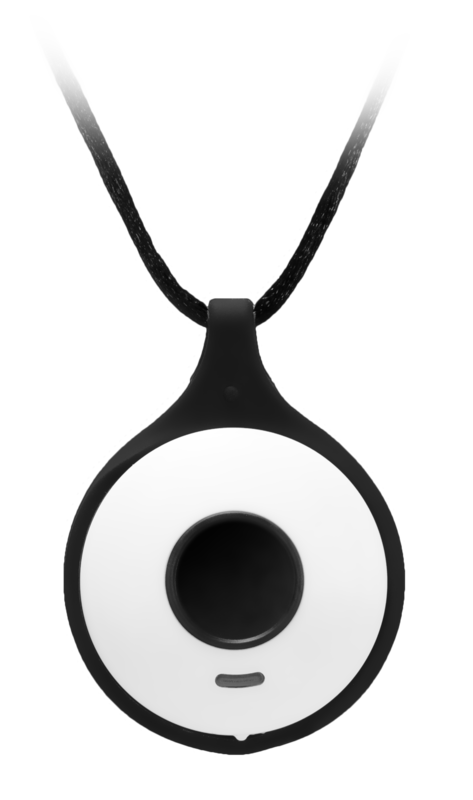 This allows us to check on you and make sure everything is okay. SeniorCare Experts oversees certified, back-ground screened installers that will personally come to your home to install the equipment, teach you how to use the equipment and make sure you are comfortable with the device. If there are any maintenance issues such as battery or button replacement, we will take care of this as well. There is never a charge for a maintenance visit. There are no long term contracts – our service is month to month. 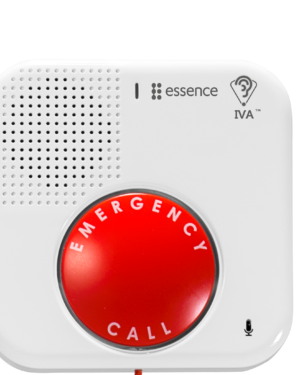 How would you get help if you can’t push your button? 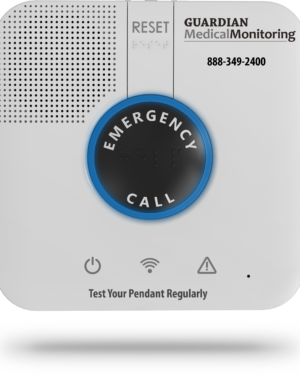 Guardian Medical with Fall Sensor is the medical alert pendant that can call for help even when you can’t. 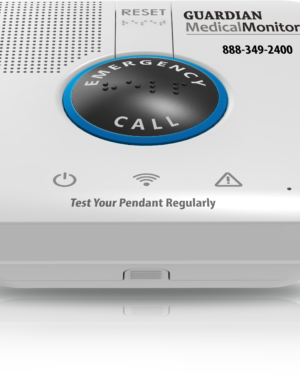 Revolutionary new pendant employs a “fall sensor” that can detect a fall and recognizes the difference between a fall and activities of daily living. 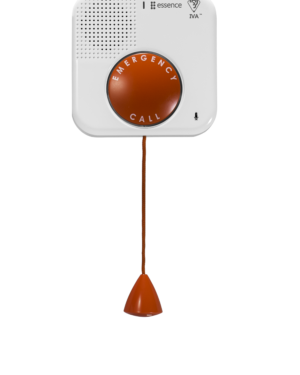 A help signal is placed if a fall is detected and no response is gained after 30 seconds. Why Guardian Medical? Every Second Counts! When you experience a fall or other emergency, delayed care can jeopardize your recovery and your independence.